All charges against out actor Jussie Smollett, who was accused of faking a racist and homophobic hate crime in Chicago earlier this year, have been dropped according to his lawyers. 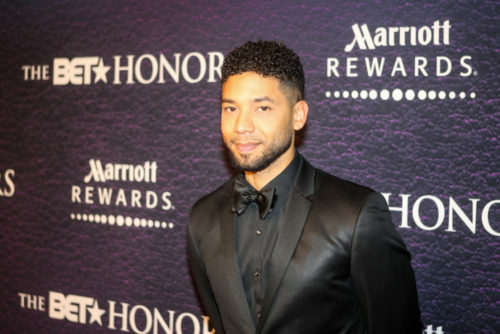 Police originally said Smollett orchestrated the attack with the help of two other men in an attempt to bump up his salary on the hit show Empire. “He was a victim who was vilified and made to appear as a perpetrator as a result of false and inappropriate remarks made to the public, causing an inappropriate rush to judgment,” his attorneys said in a prepared statement. Smollett was indicted on 16 felony counts by a grand jury. He pleaded not guilty. “This entire situation is a reminder that there should never be an attempt to prove a case in the court of public opinion,” Smollett’s attorneys said. “That is wrong. It is a reminder that a victim, in this case Jussie, deserves dignity and respect. Dismissal of charges against the victim in this case was the only just result. Chicago police and Mayor Rahm Emanuel, however, were not behind the decision to drop the charges and let their opinions be known in a press conference. WATCH LIVE: Chicago Mayor Rahm Emanuel and Police Superintendent Eddie T. Johnson speak after charges against actor Jussie Smollett were dropped.